A memory café is a social gathering for individuals living with memory loss, Alzheimer’s, or dementia and their family members, friends, and professional caregivers. You’ll learn new things, enjoy time together, and be active. REGISTER: First time attendees, please call the ADRC at 262-284-8120 to register. 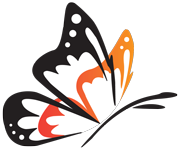 On Monday, May 20, Monarch Memory Café meets at Frank L. Weyenberg Library, 11345 N Cedarburg Rd, Mequon, WI.